CUPERTINO, Calif., June 16 /PRNewswire-FirstCall/ — Yesterday Apple and its carrier partners took pre-orders for more than 600,000 of Apple's new iPhone 4. It was the largest number of pre-orders Apple has ever taken in a single day and was far higher than we anticipated, resulting in many order and approval system malfunctions. Many customers were turned away or abandoned the process in frustration. We apologize to everyone who encountered difficulties, and hope that they will try again or visit an Apple or carrier store once the iPhone 4 is in stock. Just to recap: people who sought out an iPhone 4 yesterday were met with long lines, a downed online Apple store, and general mayhem both online and in-person. 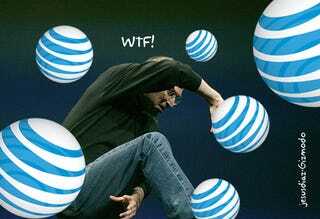 First AT&T ran out of its iPhone 4 stock at around 4:30 EST, then Apple itself several hours later. Despite all the difficulties, it looks as though Apple still managed a banner day, with ten-times higher pre-ordering than the iPhone 3GS, according to AT&T. Given those numbers, one also wonders what kind of in-store iPhone 4 inventory there will be when it's actually released on June 24th.